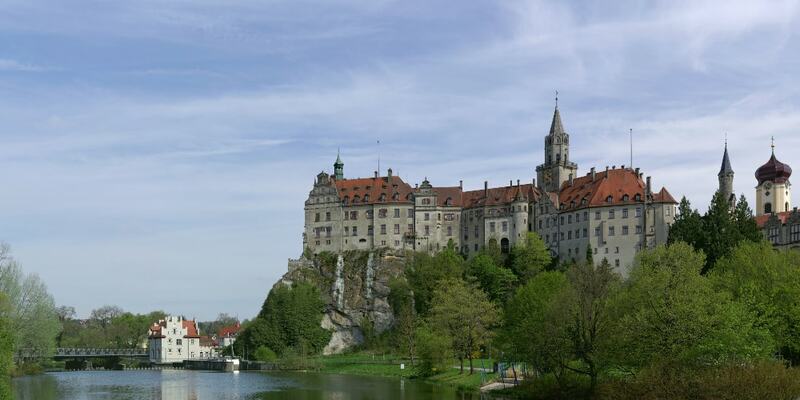 Sigmaringen Castle was the princely castle and seat of government for the Princes of Hohenzollern-Sigmaringen. Situated in the Swabian Alb region of Baden-Wurttemberg this castle dominates the skyline of the town of Sigmaringen. The castle was rebuilt following a fire in 1893, and only the towers of the earlier medieval fortress remain. Schloss Sigmaringen was a family estate of the Swabian Hohenzollern family, a cadet branch of the Hohenzollern family, from which the German Emperors and kings of Prussia came. The castle and museums may be visited throughout the year, on guided tours. I used to live there from 1948-1953.